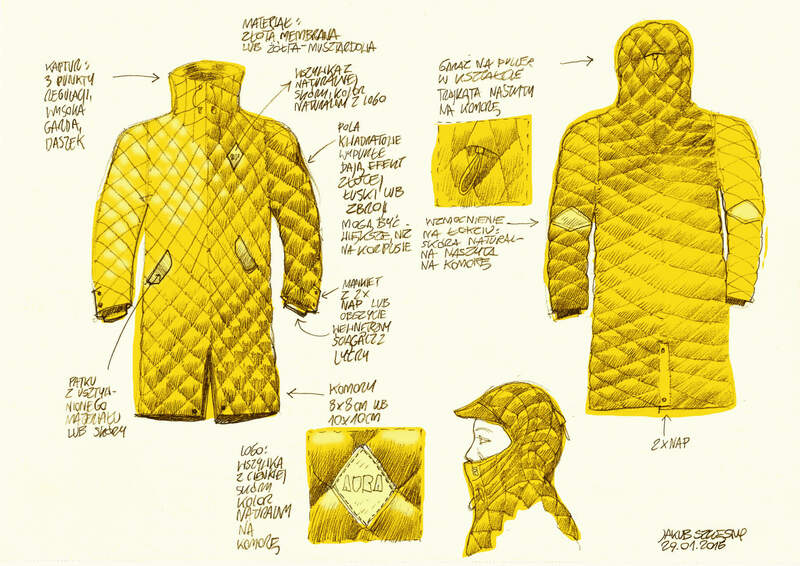 A fantasy project that started with a sad conclusion that men of certain age become less resistant to cold and chilly winds and that well insulating coats longer than classic macks or trenches are hard to find these days. 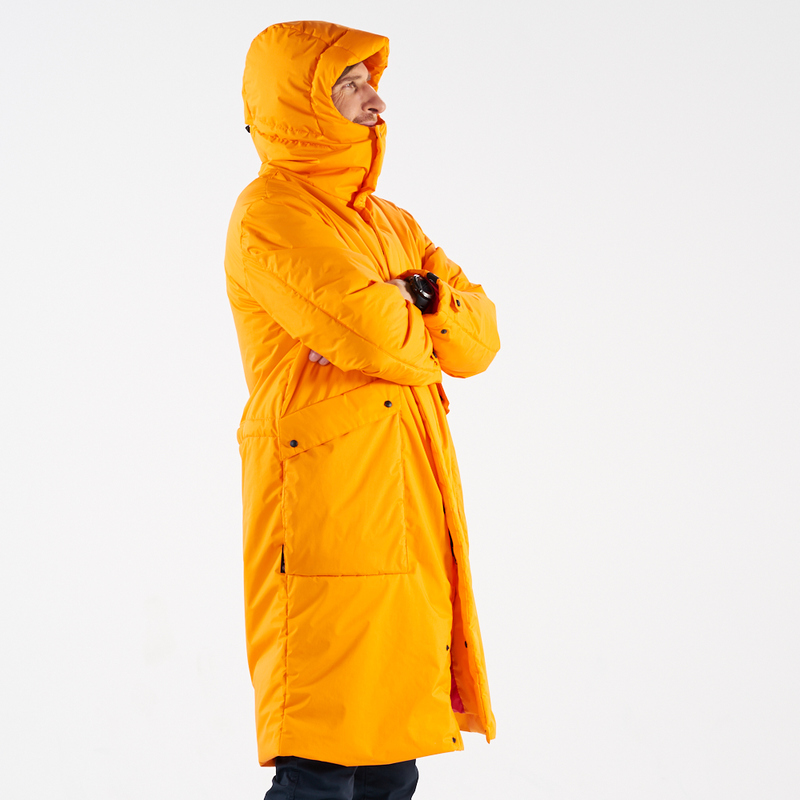 As travelling architect working in various climetic zones and father of three sons spending hours pushing a pram through snowy streets I know to well that performance of light puffies can’t be really combined with the one provided by heavy parkas. 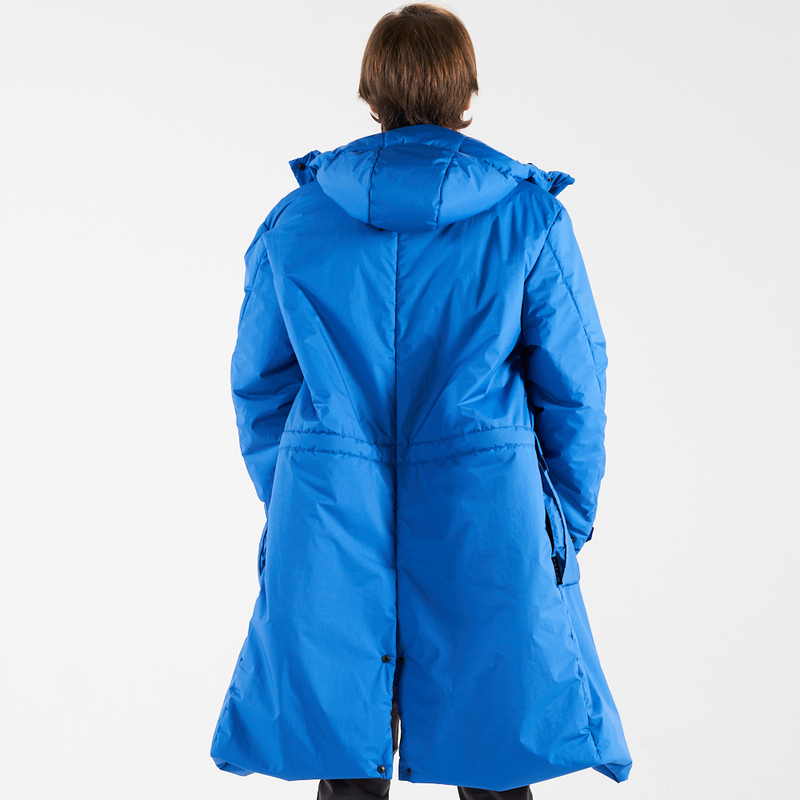 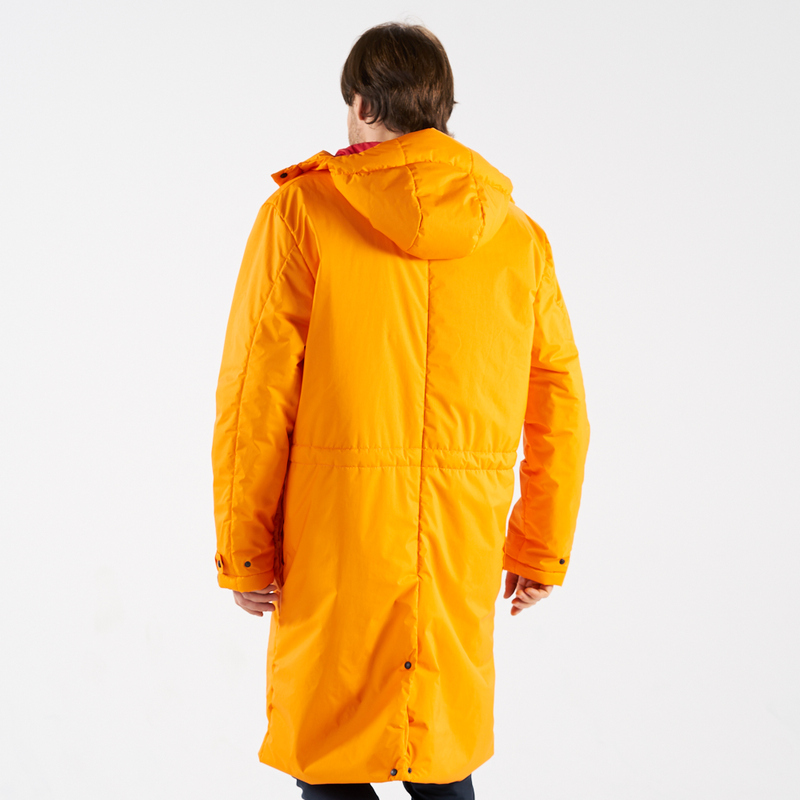 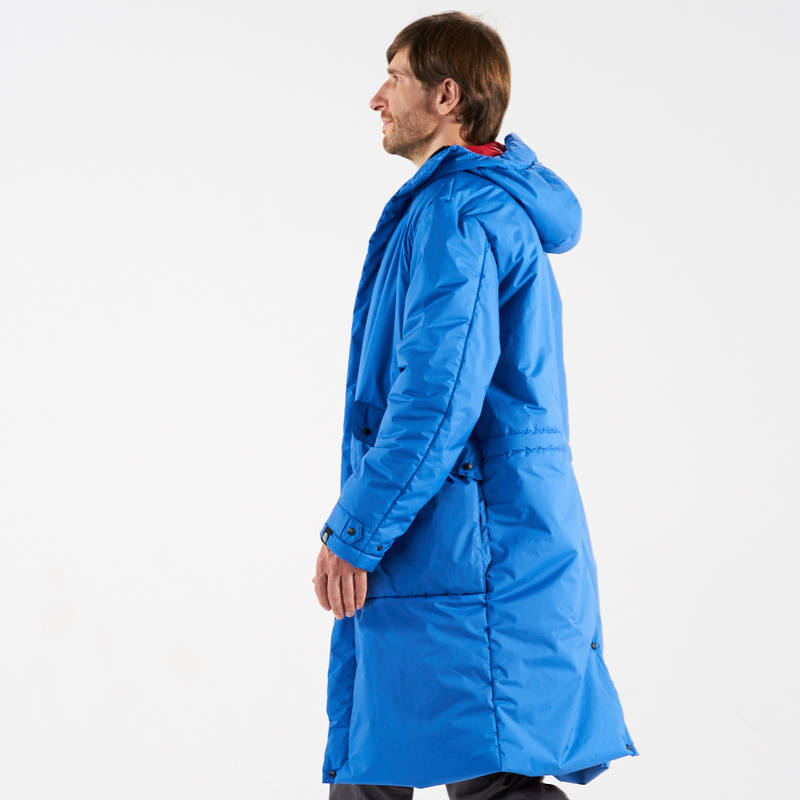 This is how the plan of designing a medium thickness packable long coat was born. 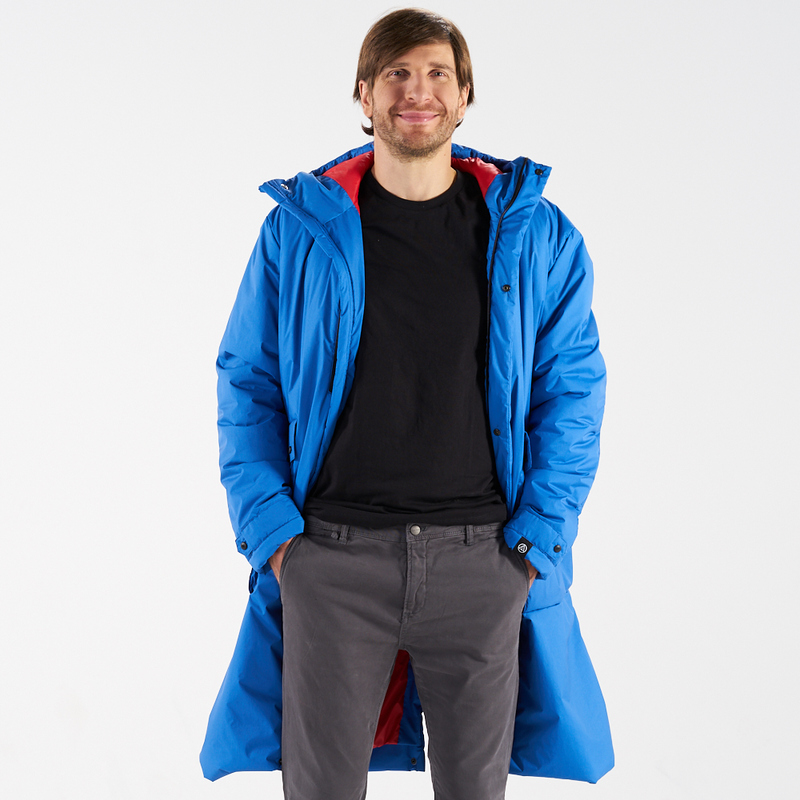 I phoned the owners of Yeti, one of the best Polish producers of insulating outdoor clothing and luckily they said: „let’s do it!” After two years of iterations and prototyping we came out with a long coat combining Yeti’s expertise in outdoor performance clothes and my ideas of a notorious urban traveler. 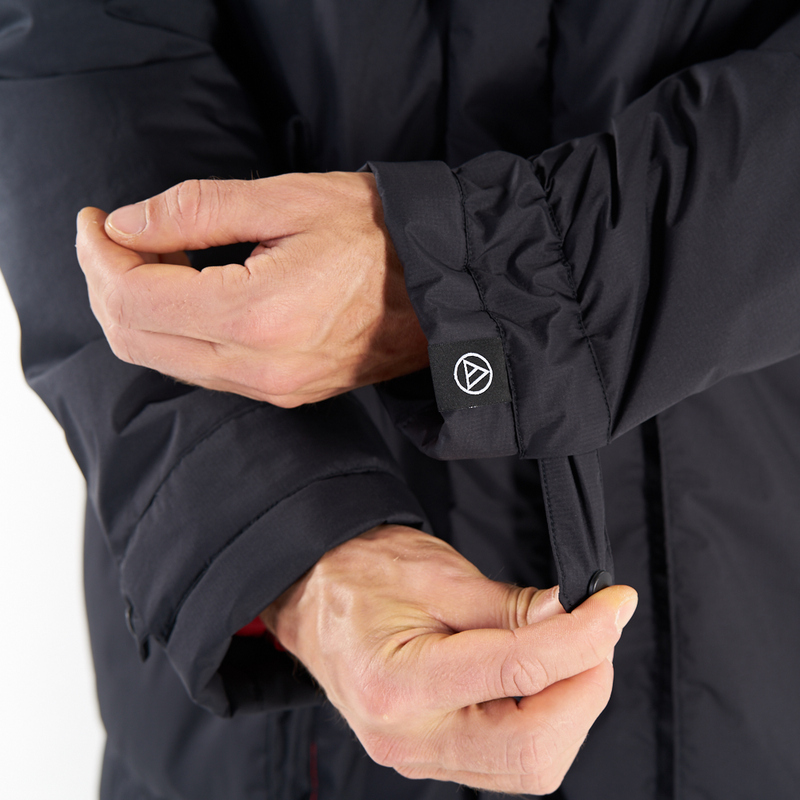 MRÓZ (Frost) features a set of top-notch breathable materials such as facing Toray Delfy, Pertex Polygiene as inner layer and Climashield 67 as filling. 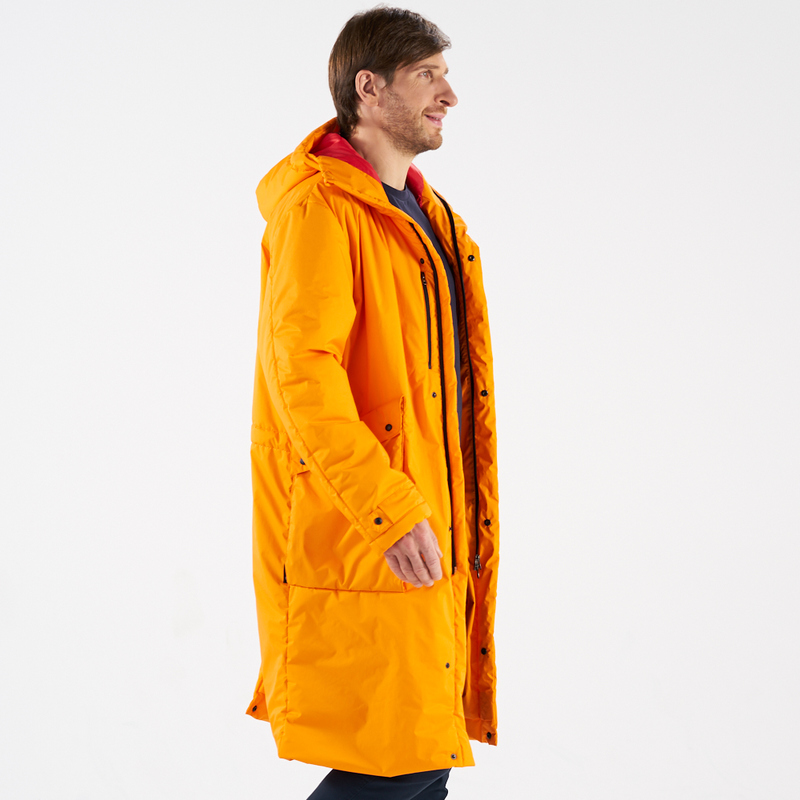 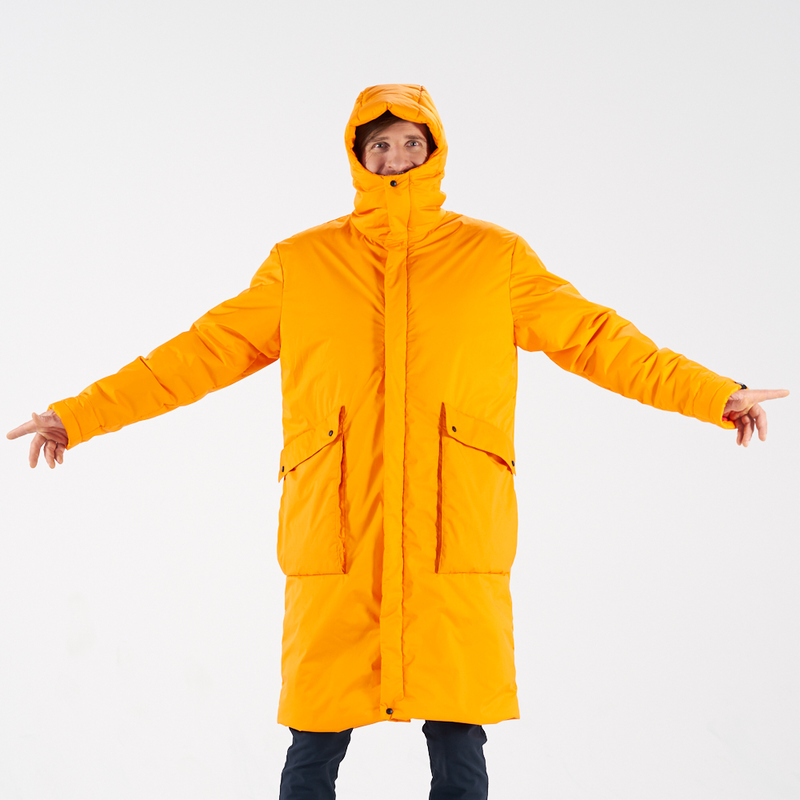 The coat is packable, water- resistant, you won’t sweat in it when running from taxi to subway and won’t loose temperature when supervising building construction on site in -10° Celsius. 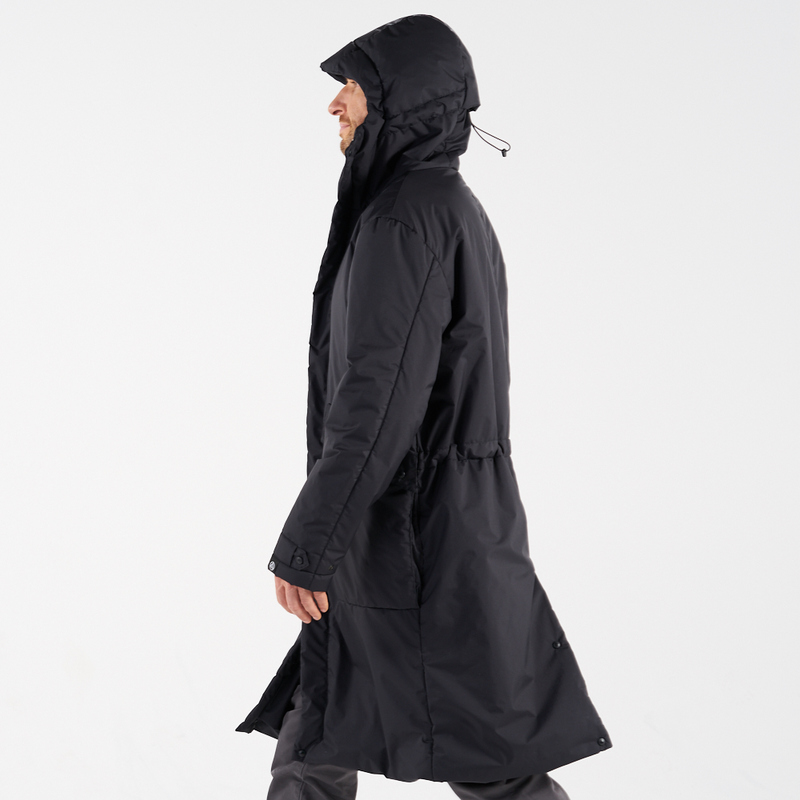 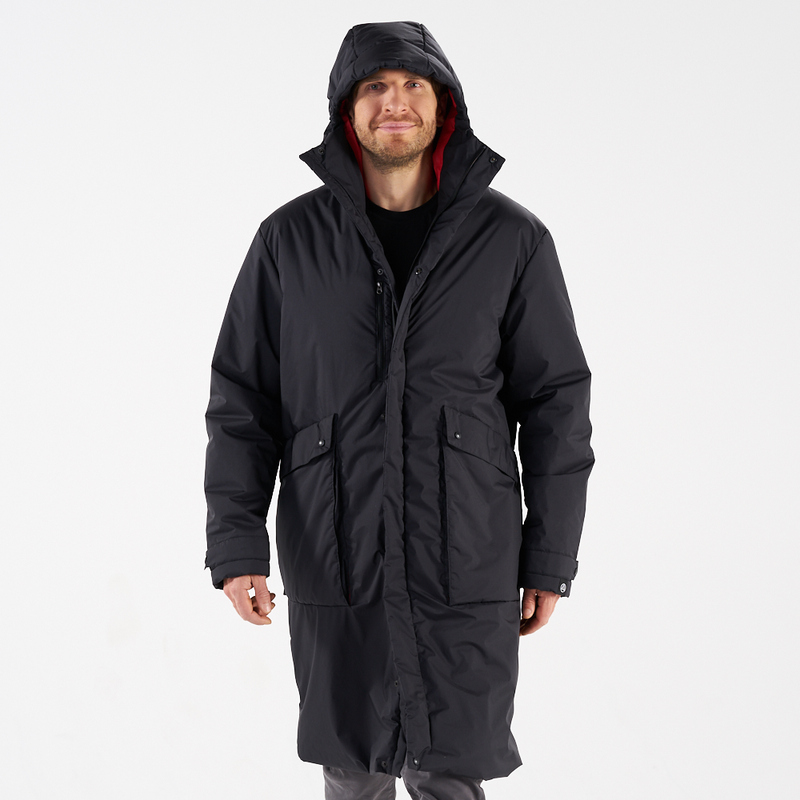 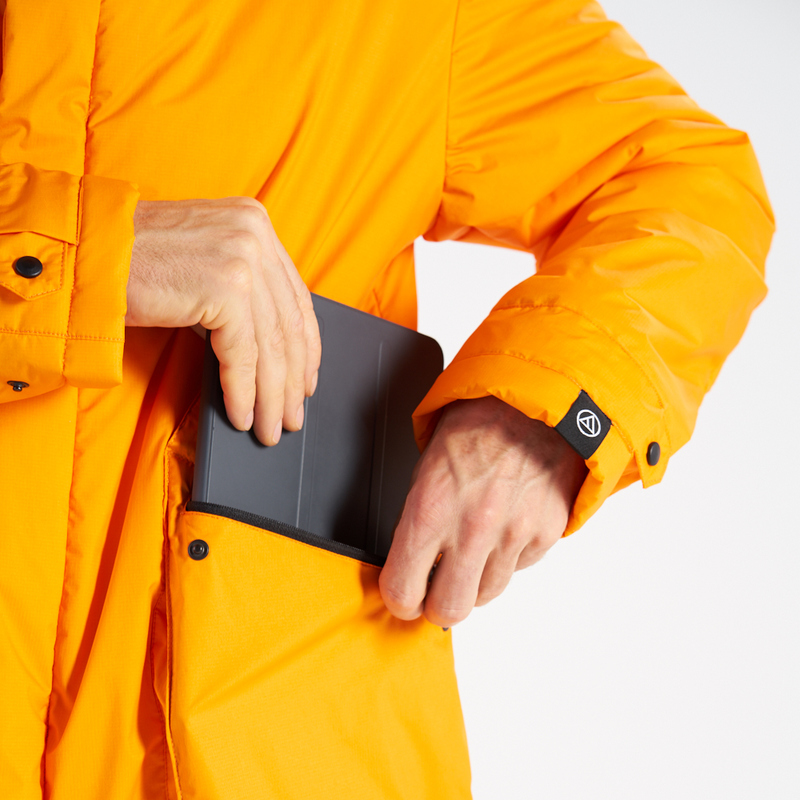 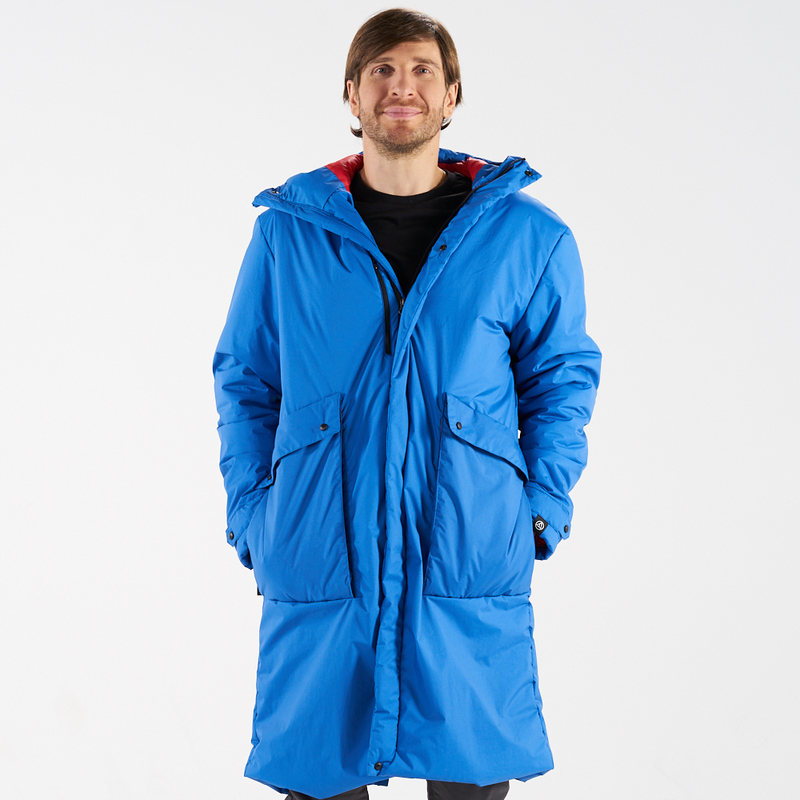 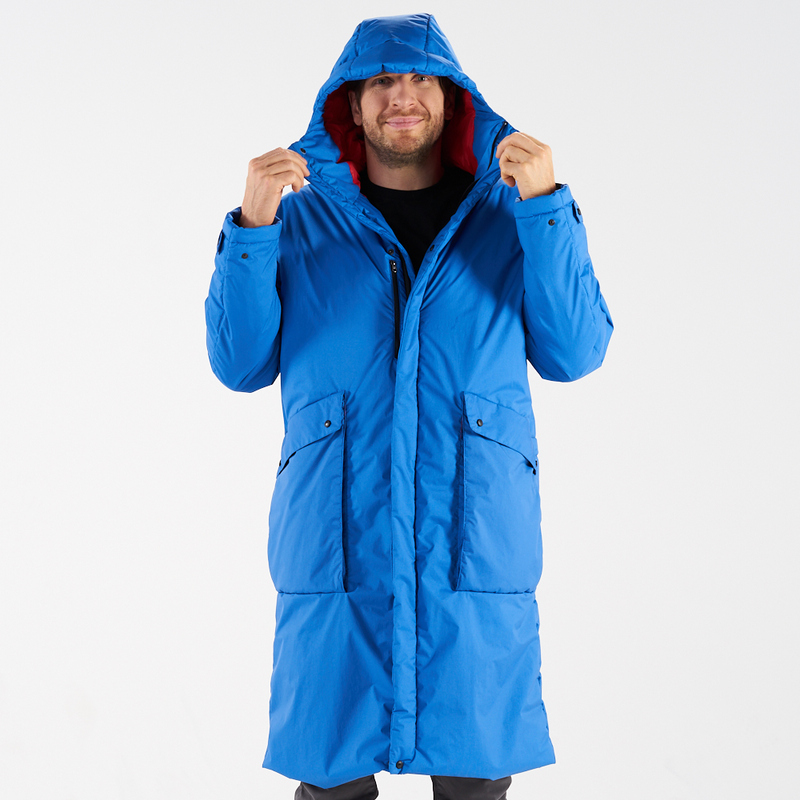 Apart of this, it provides huge storage space with it’s six pockets and thanks to the construction of it’s insulating hood with high collar it makes one feel like staying in bed while walking to the bus. 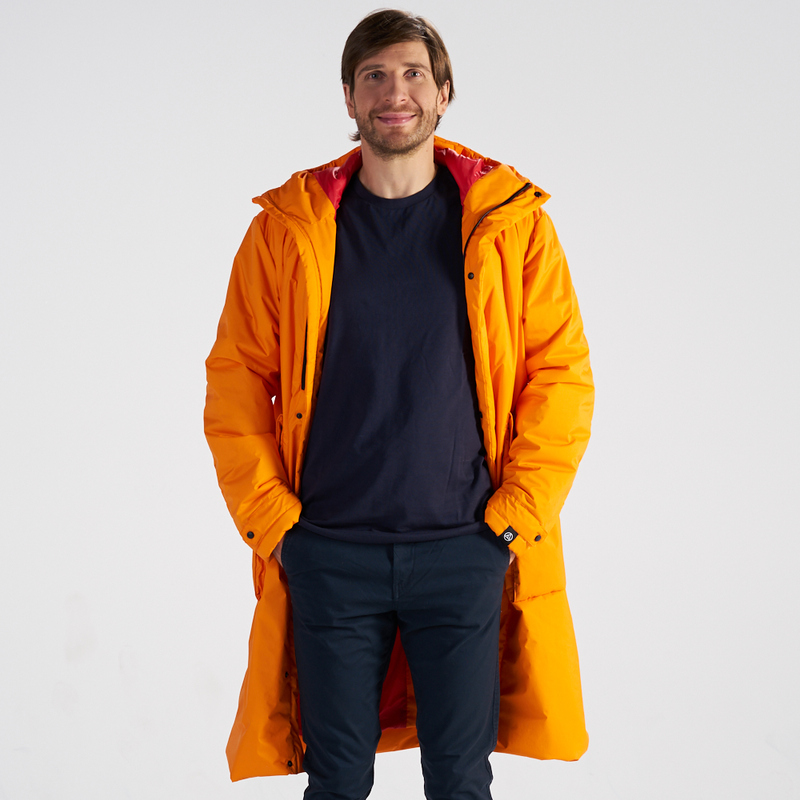 What else a man in his 40-ties would need?